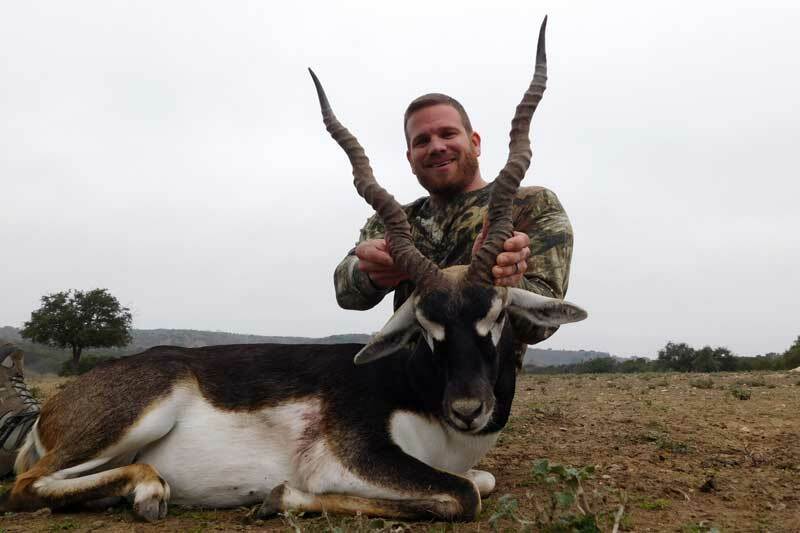 Blackbuck (Antelope cervicapra) also known as Indian Antelope have horns which are never shed but grow continually throughout the life of the animal. 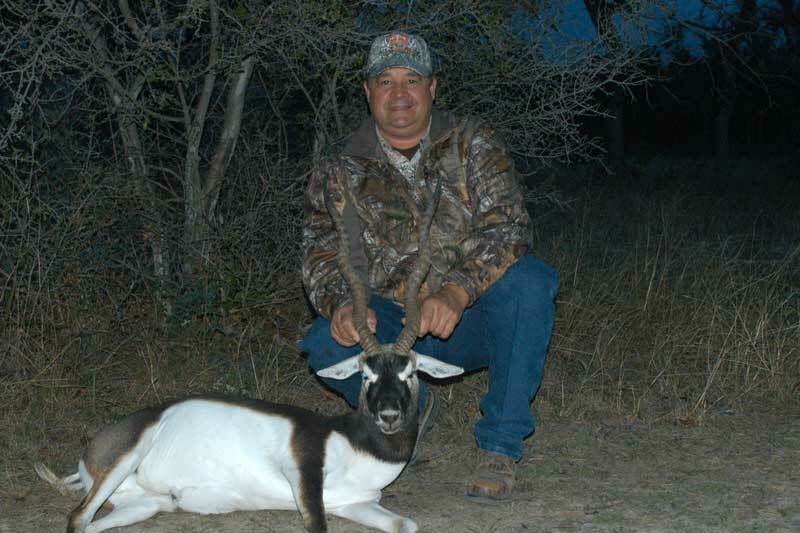 Their horns are ringed with one to four corkscrew turns, occasionally having five turns. 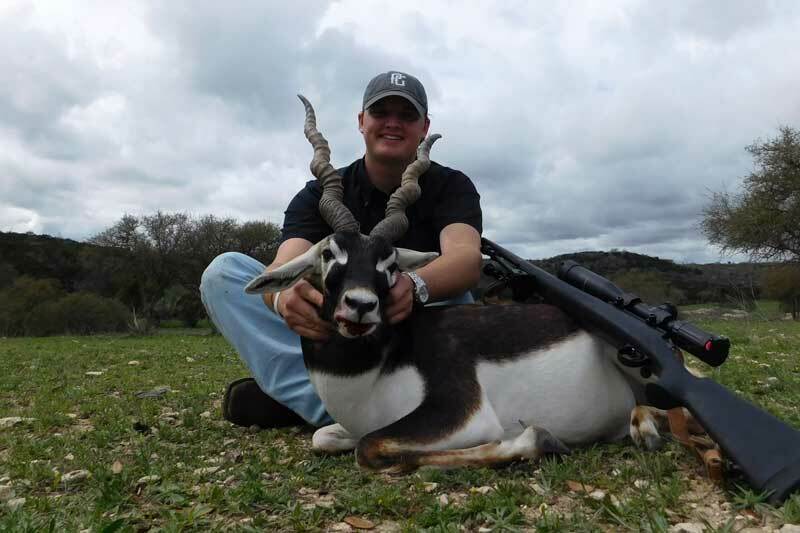 Horns can exceed 24 inches in length with anything over 18 inches generally considered a trophy. 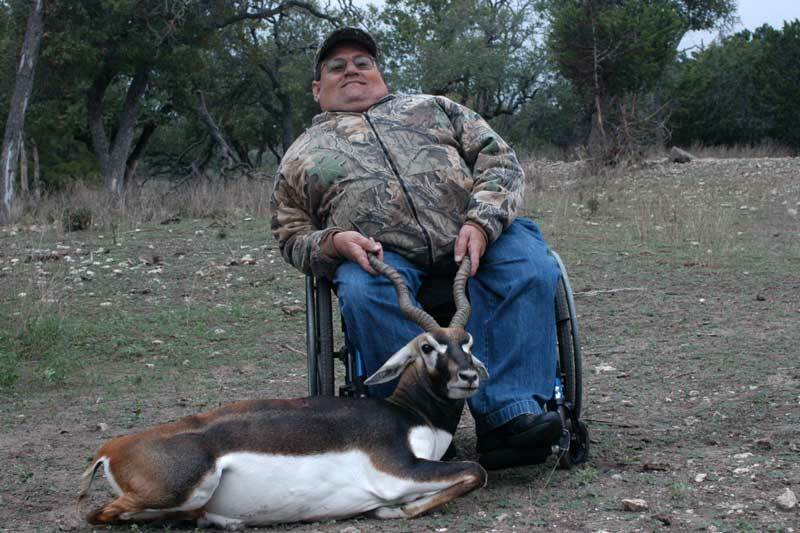 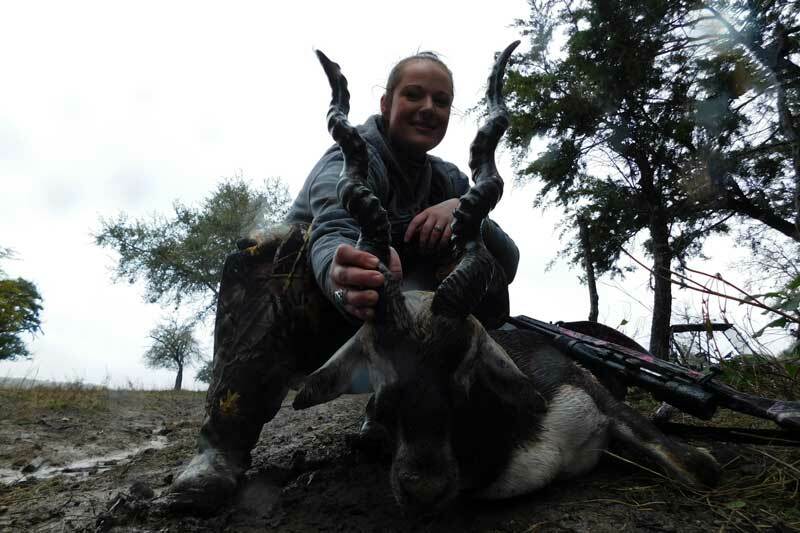 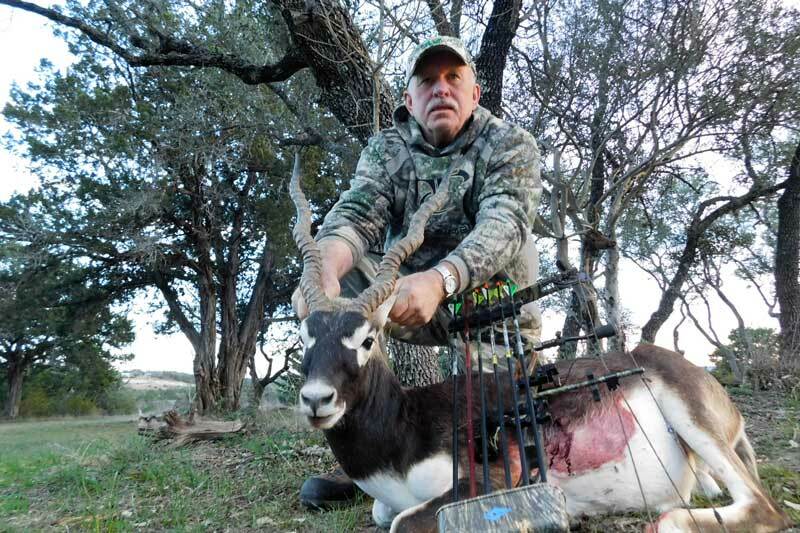 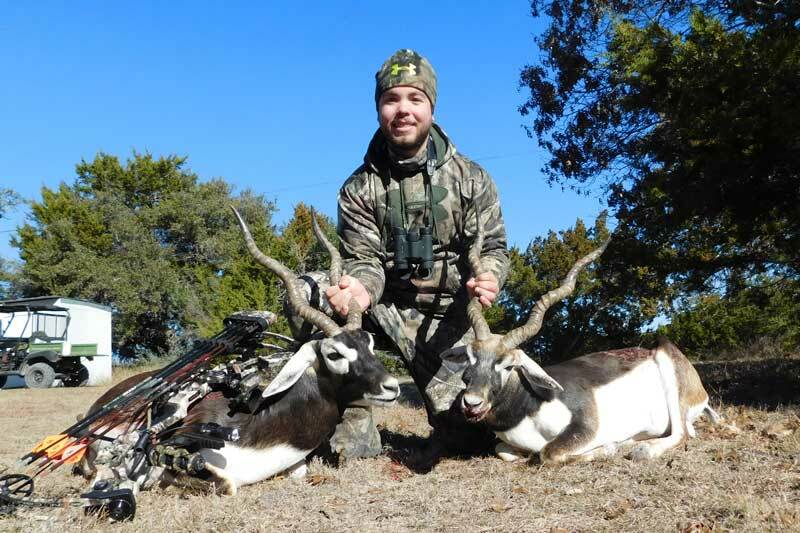 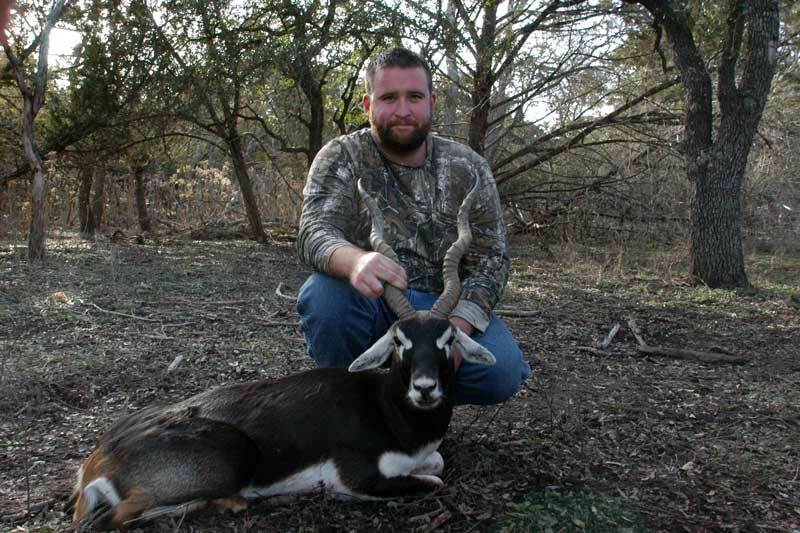 We have Trophy Blackbuck available for harvest year round. 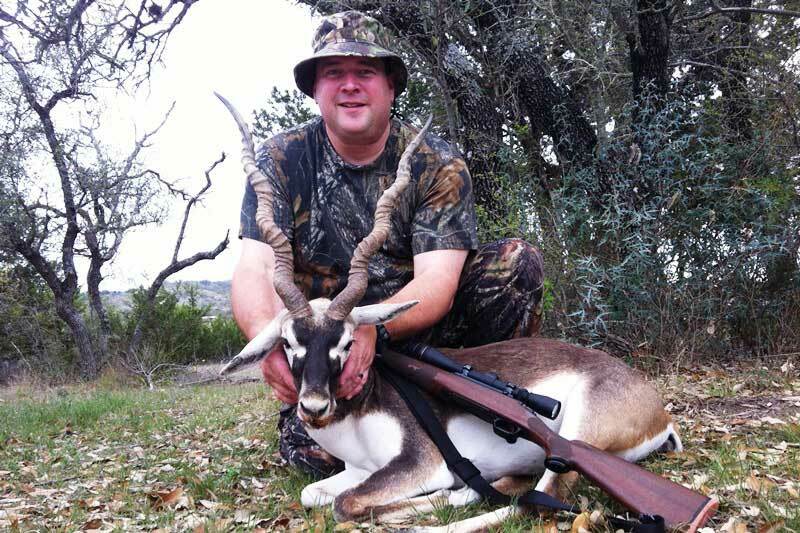 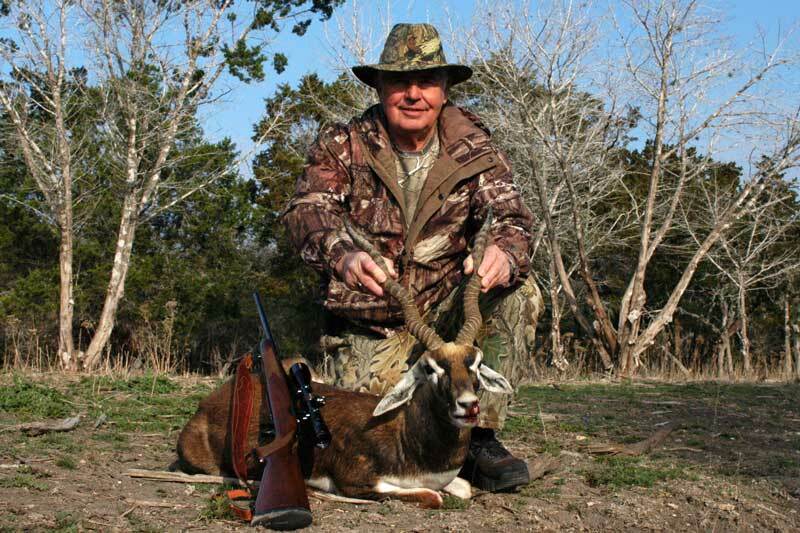 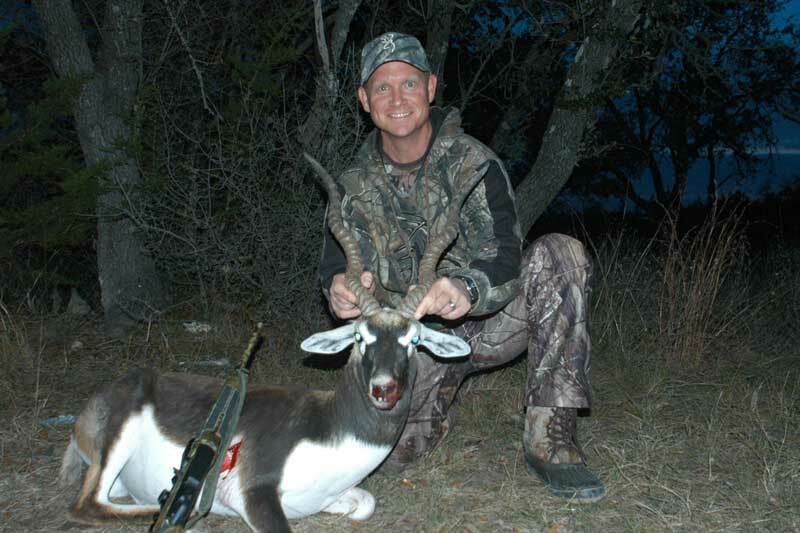 During your Blackbuck hunt you’ll likely see some of the other game we have at Buck Valley. 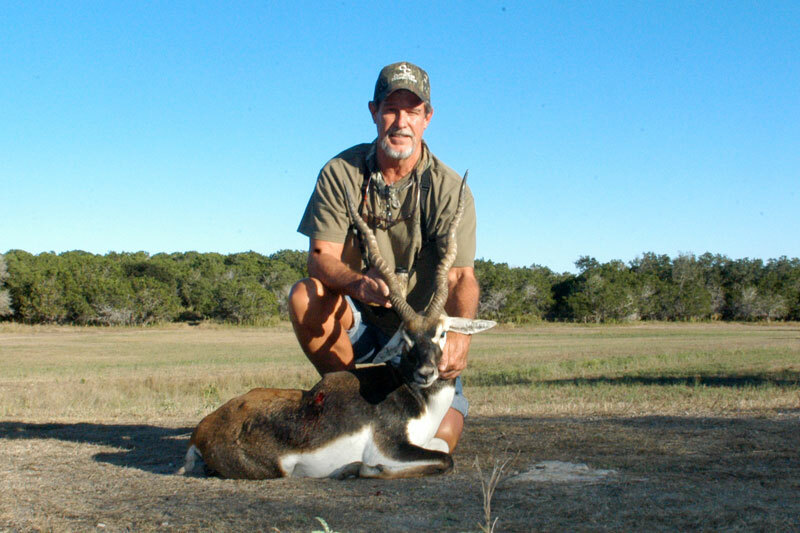 Bucks have dark brown to black bodies with white bellies and eye rings. 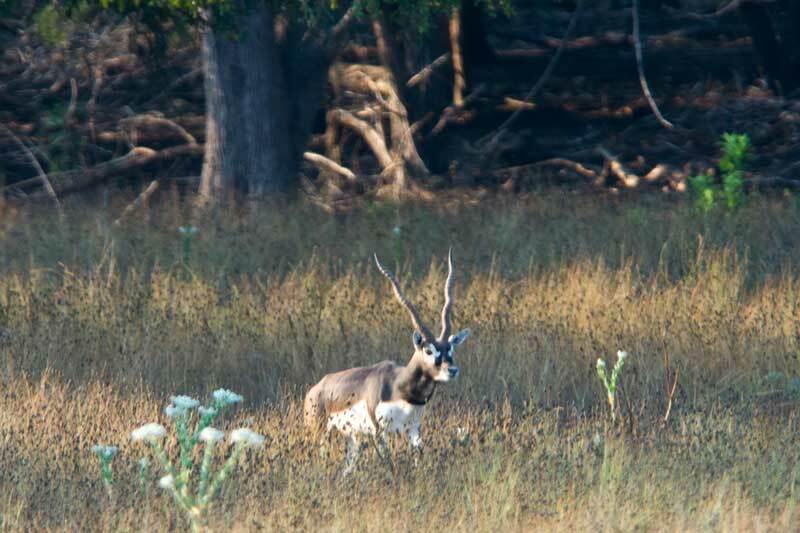 After the spring molt non-dominant males color typically lightens considerably. 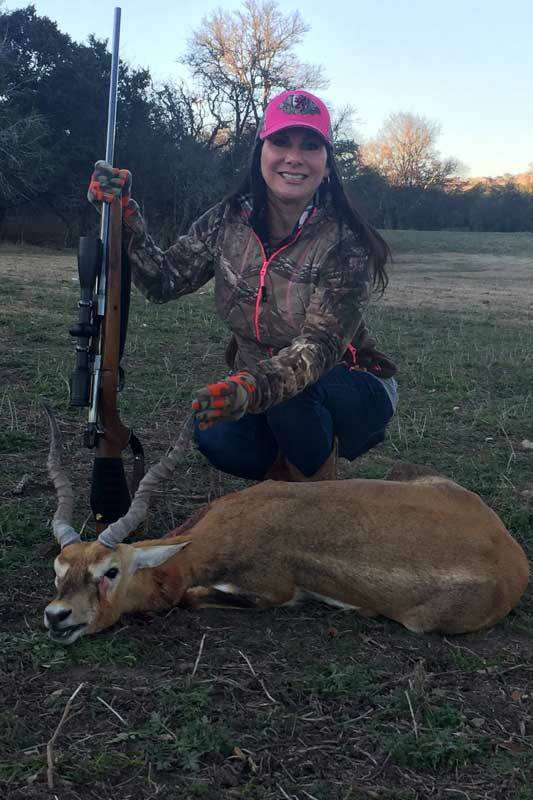 Does are light brown. 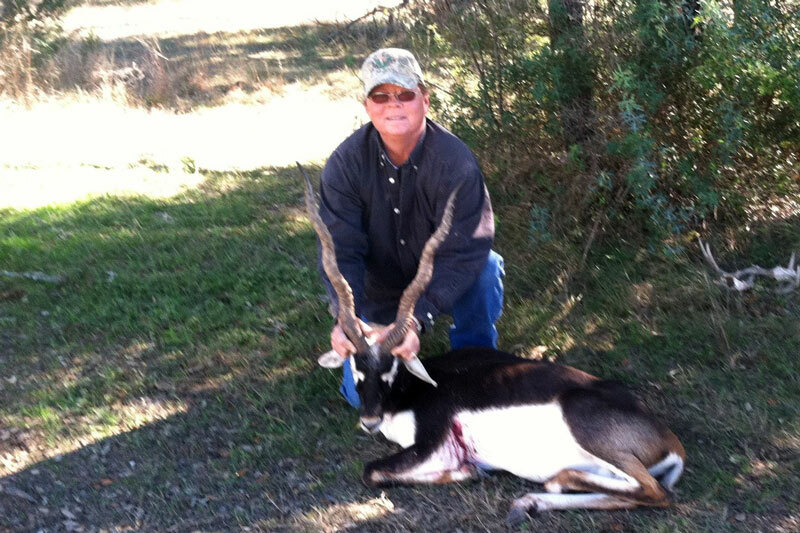 Bucks average 80 pounds and can weigh as much as 120 pounds. 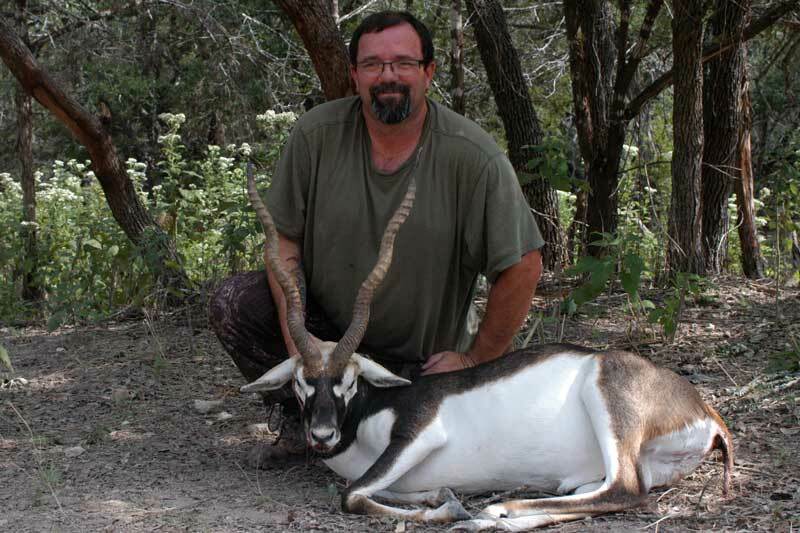 Does average 60 pounds and can weigh as much as 70 pounds. 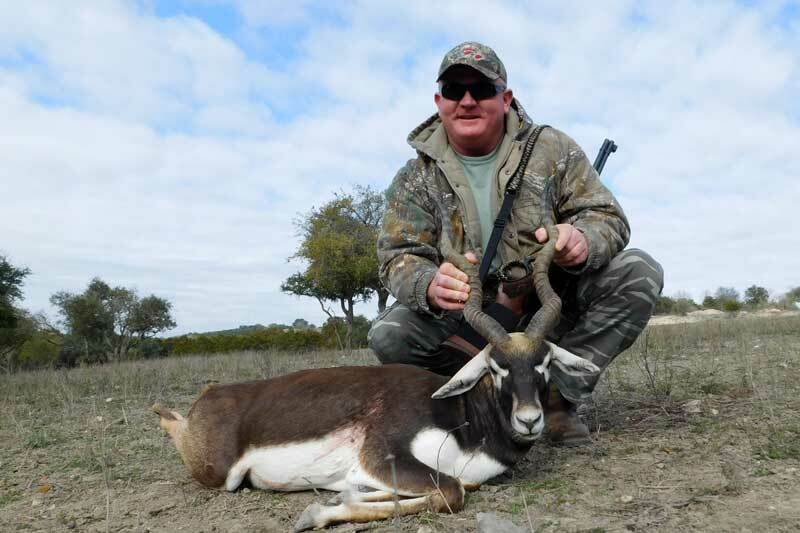 Blackbuck meat is generally regarded as quite tasty, we like it. 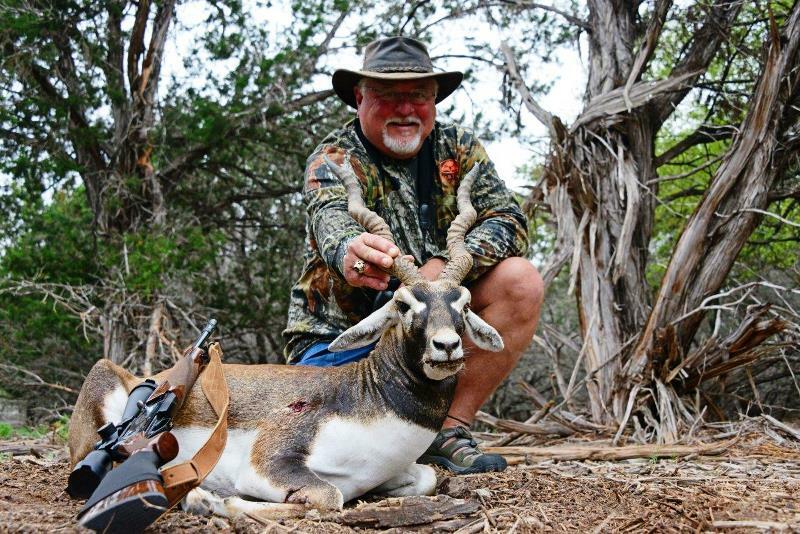 When searching the web you will find mostly positive comments, some better than Axis and the occasional negative review. 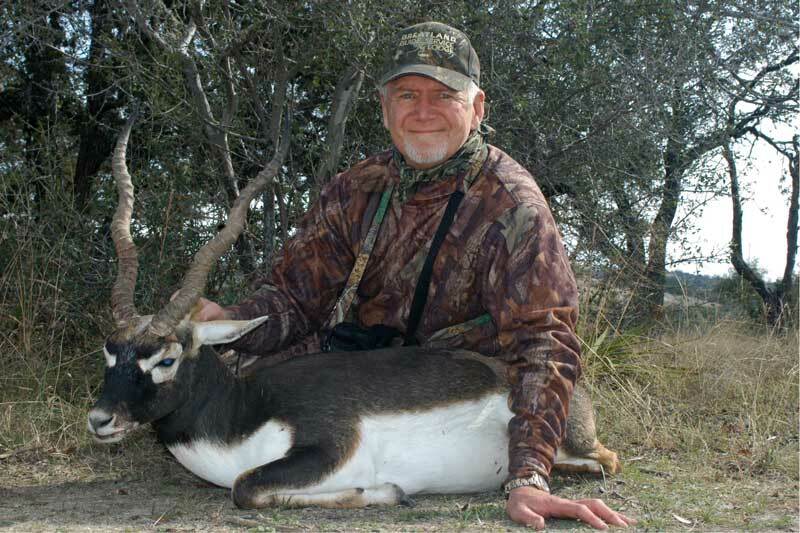 If you happen to fall into the negative group you almost certainly have friends who will gladly take it off your hands! 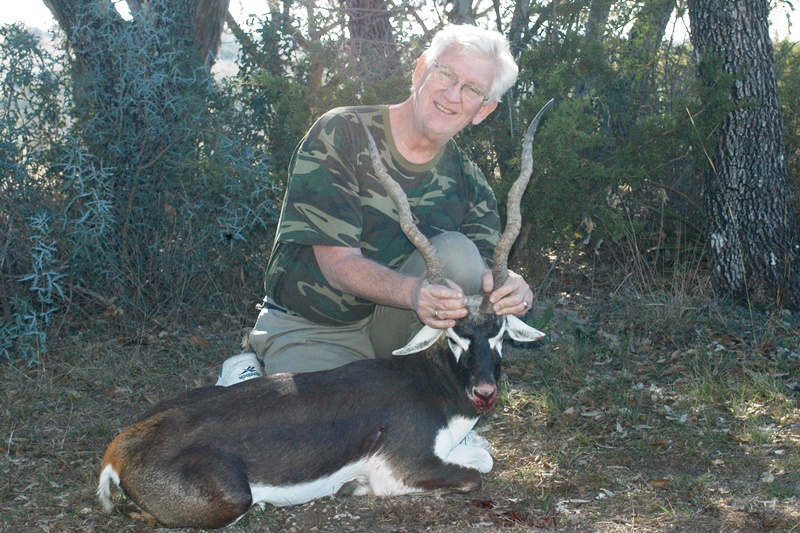 Blackbuck are indigenous to open plains of India, Pakistan and Nepal. 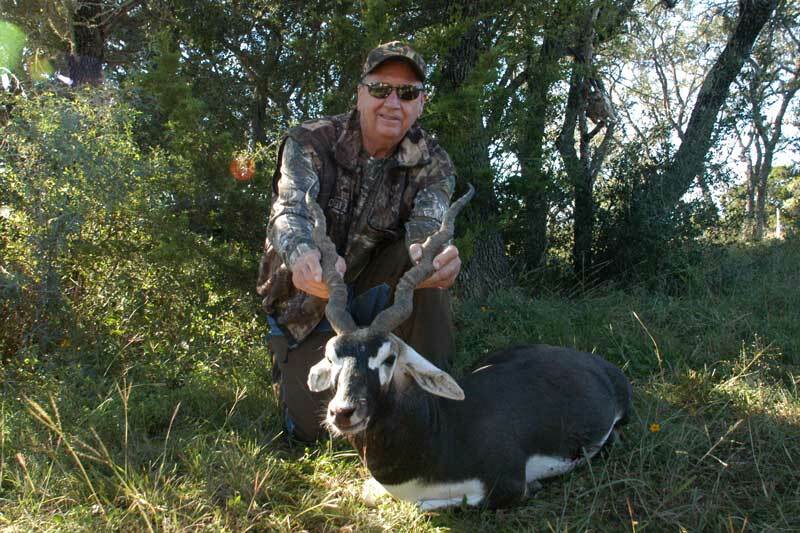 They were first introduced to Texas, specifically the Edwards Plateau and Kerr County, in 1932. 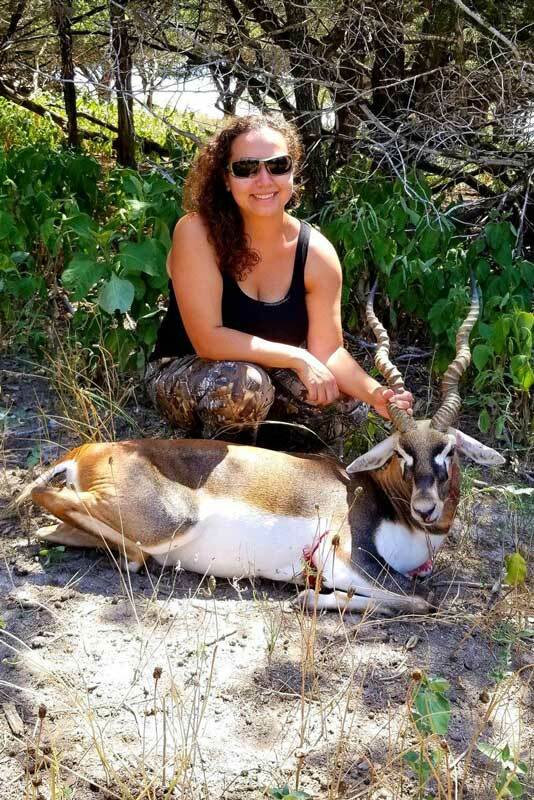 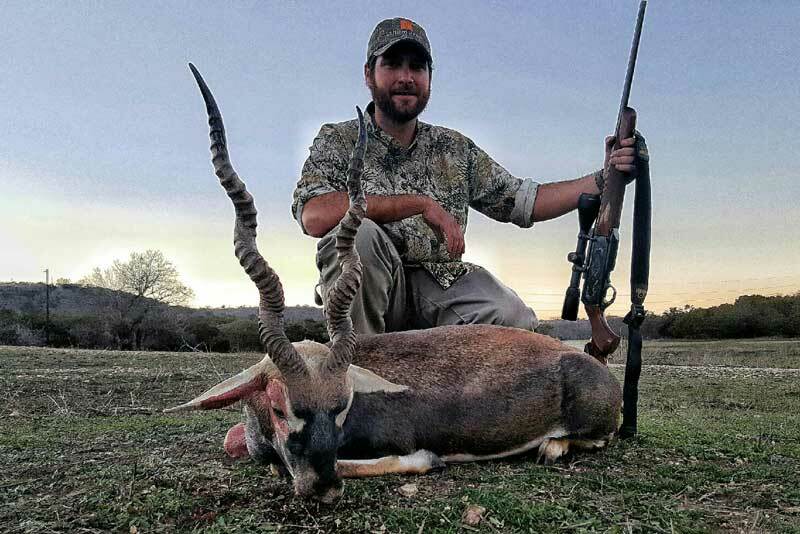 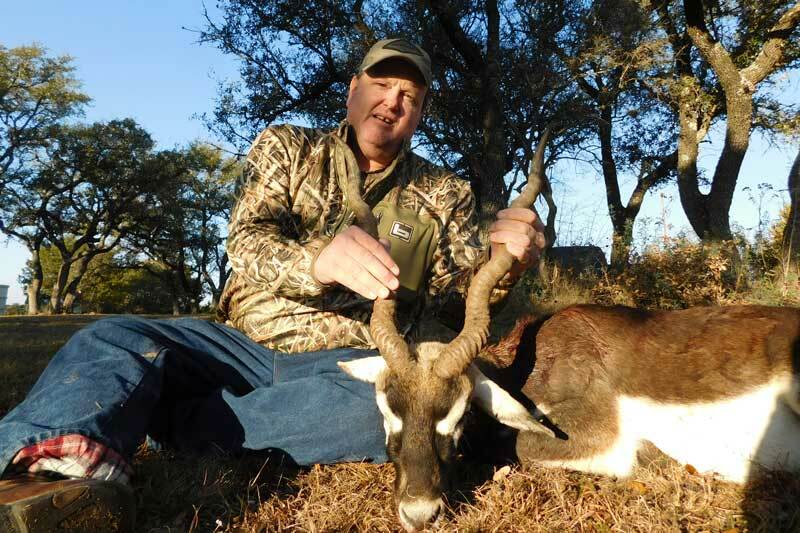 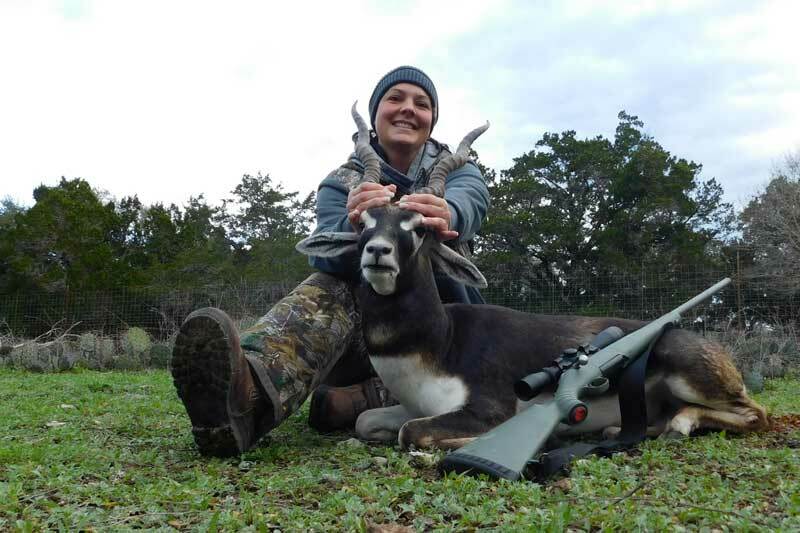 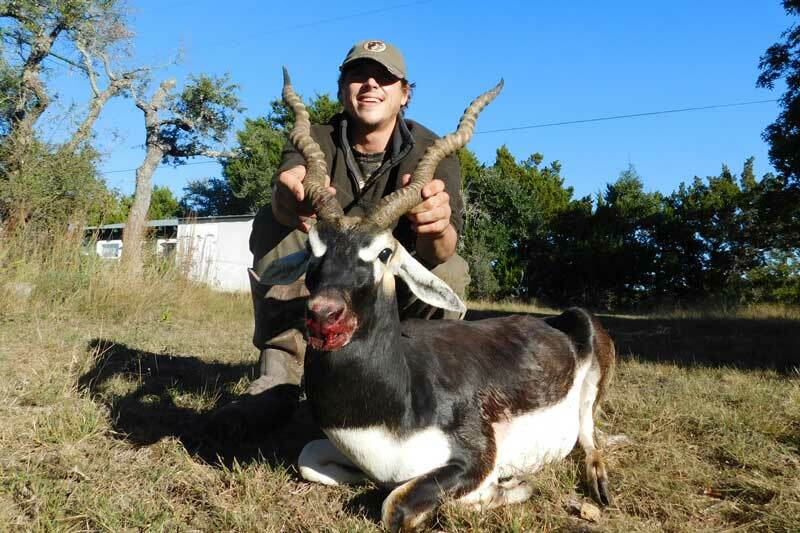 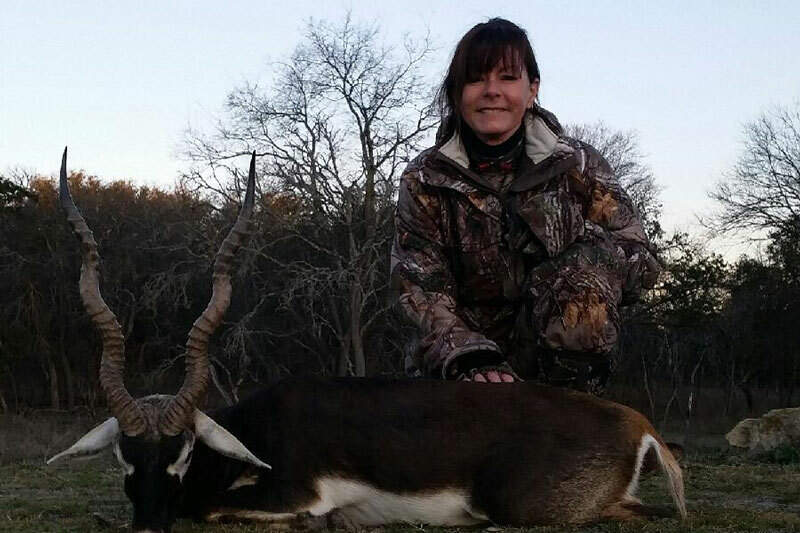 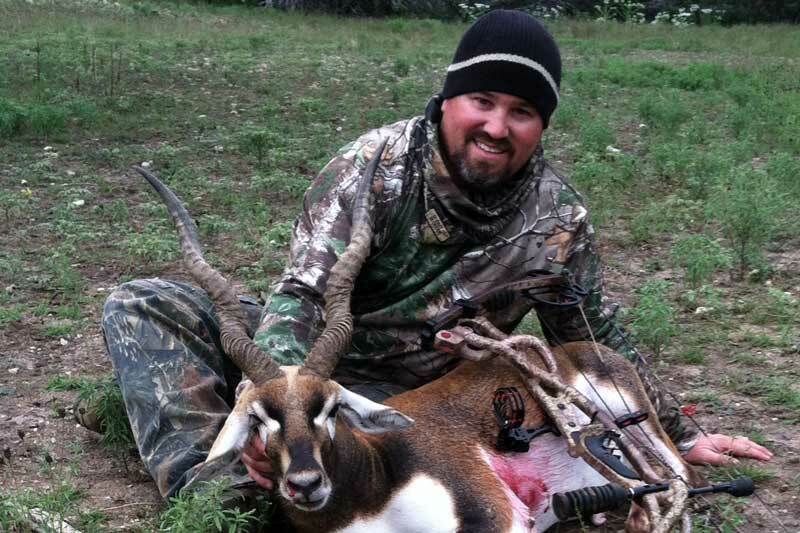 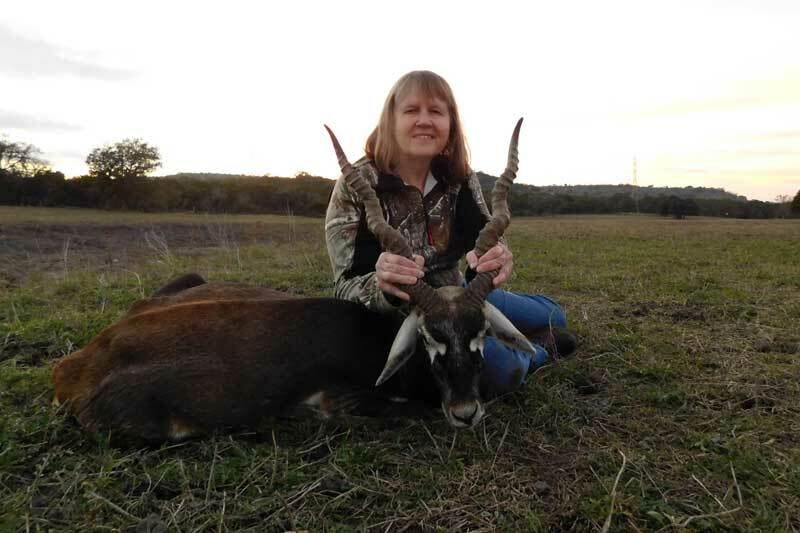 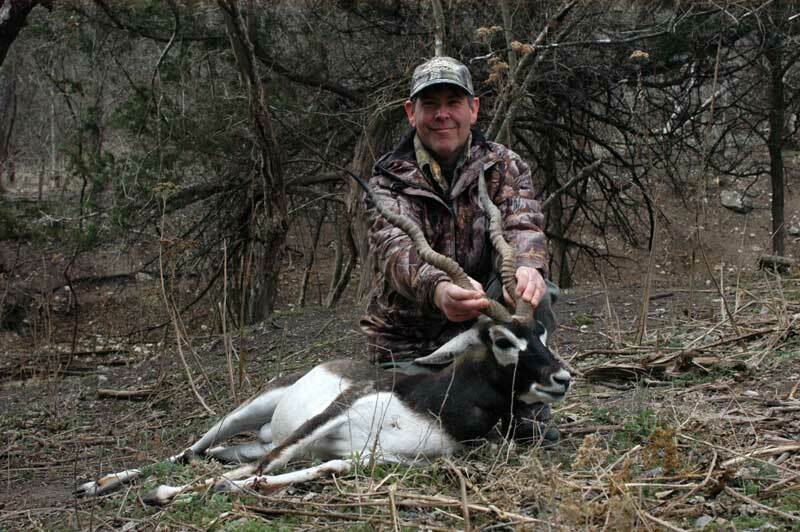 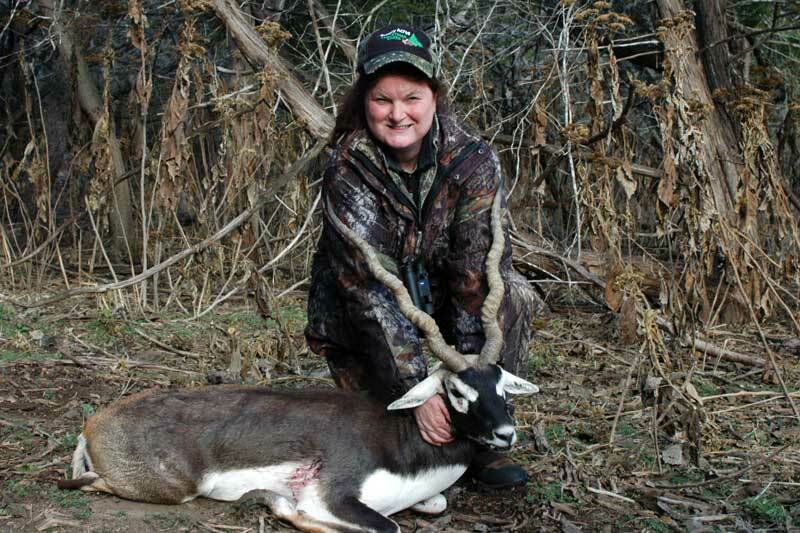 Blackbuck measuring less than 20"
Come to Buck Valley Ranch for an outstanding Blackbuck hunting experience. 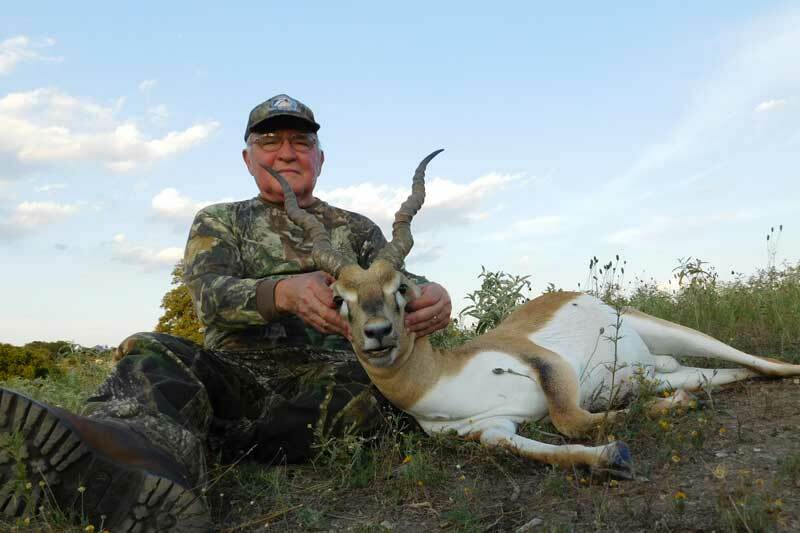 We have great facilities, expert guides, tasty meals, comfortable accommodations, and the very best of Texas hospitality along with a strong commitment to customer satisfaction.